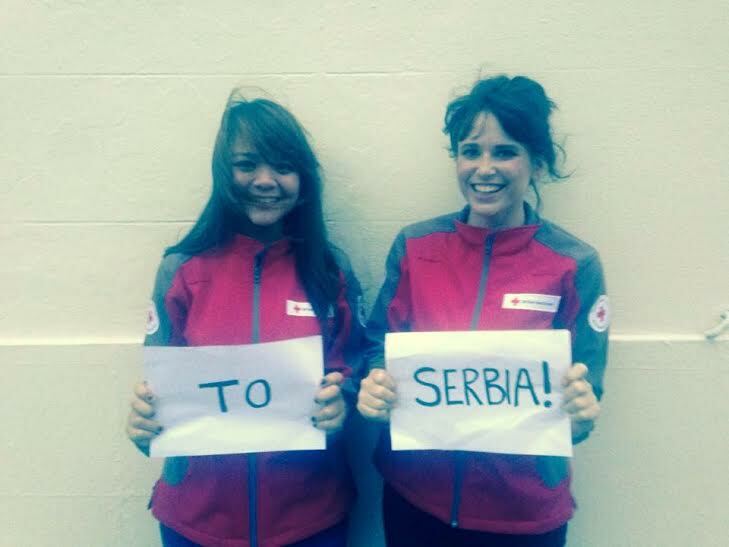 Two women from Brighton are trying to hitch-hike to Belgrade in Serbia in under a fortnight to raise funds for two charities. Housemates Morgan Mead, 26, and Danielle Freer, 23, set off on their thousand-mile adventure from London this morning (Saturday 15 August) and thumbed their first lift in Lille, in France, this afternoon. 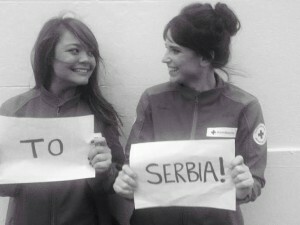 They aim to raise money and awareness for the British Red Cross and Guide Dogs as they hitch by day and camp by night. Miss Mead, an emergency response co-ordinator for the British Red Cross, in Hove, said: “The response to our trip has been really mixed and we keep hearing that you shouldn’t hitch-hike and, as a woman, that you especially shouldn’t hitch-hike without a man. “But we don’t want to be held back by fear, especially not fear of other people. “We want to open ourselves up to the power of humanity and record the stories of the people we meet along the way. “We truly believe that people are inherently good and that we can spread the message of the Red Cross and Guide Dogs along the way, as well as empowering other people to step outside the front door and face their fears. Miss Freer said: “Both of these are organisations which are very close to our hearts and they both do incredible work with people who are vulnerable and need it the most. “Anything that we can raise is brilliant and will go towards helping people both at home and abroad. Before the pair set off, Miss Freer said: “We take the bus from London to Lille on (Saturday) 15 August and start from there. The two women have been collecting donations for the Red Cross and Guide Dogs and have set up a a JustGiving page. Their target is £2015, which will be split equally between the two organisations. They are appealing to local businesses for sponsorship and hoping to raise the money from the public over the next few months. So far they have raised about a tenth of their target from friends and colleagues. To track their progress online and see photos and stories of the people who pick them up as well as information on how to sponsor them, visit their Facebook and Twitter pages.